Cricket Tell You the Temperature! The number of times some crickets chirp each second can be used to estimate temperature. Crickets, like all living things, have many chemical reactions going on inside their bodies, such as reactions that allow muscles to contract to produce chirping. 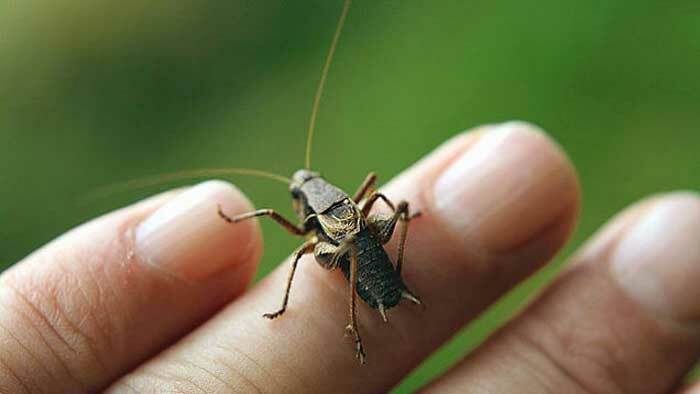 Crickets, like all insects, are cold-blooded and take on the temperature of their surroundings. This affects how quickly these chemical muscle reactions can occur. Specifically, a formula called the Arrhenius equation describes the activation, or threshold, energy required to make these reactions occur. As the temperature rises, it becomes easier to reach a certain activation energy, thereby allowing chemical reactions, such as the ones that allow a cricket to chirp, to occur more rapidly. Conversely, as the temperature falls, the reaction rates slow, causing the chirping to diminish along with it.